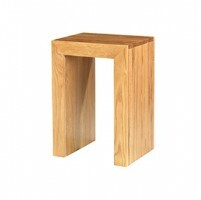 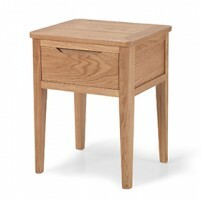 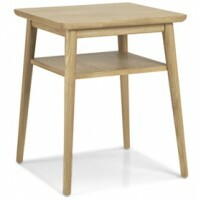 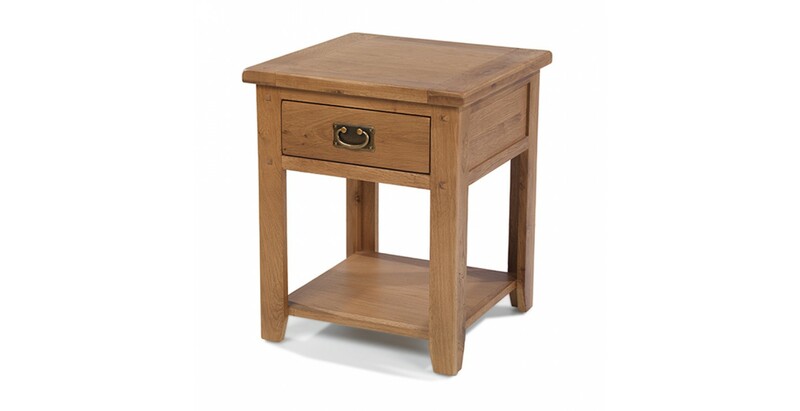 This compact lamp table is just the thing for adding some natural warmth to your home. 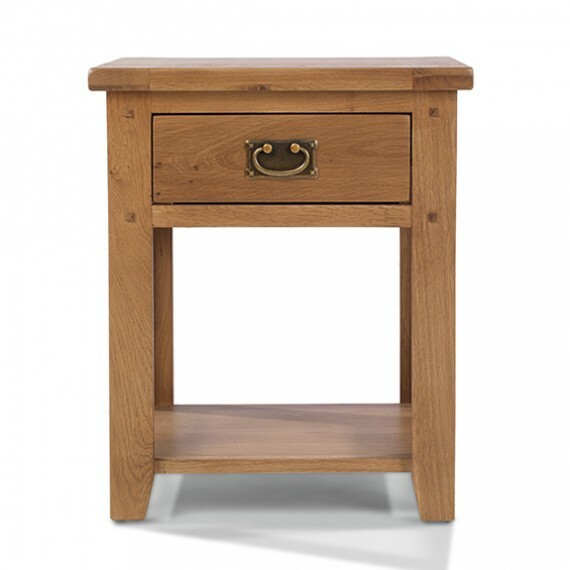 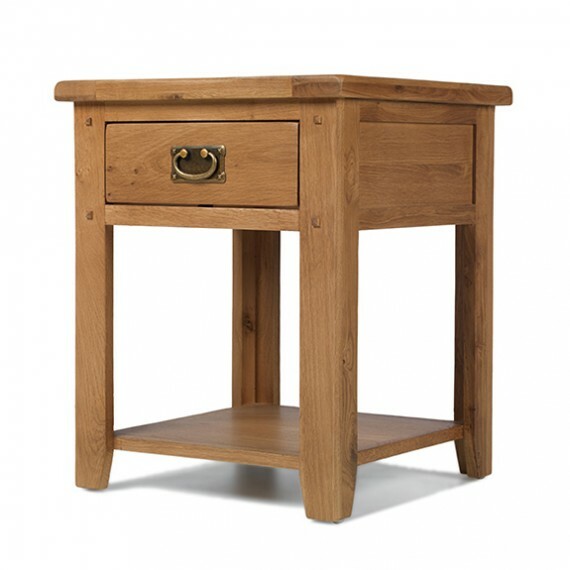 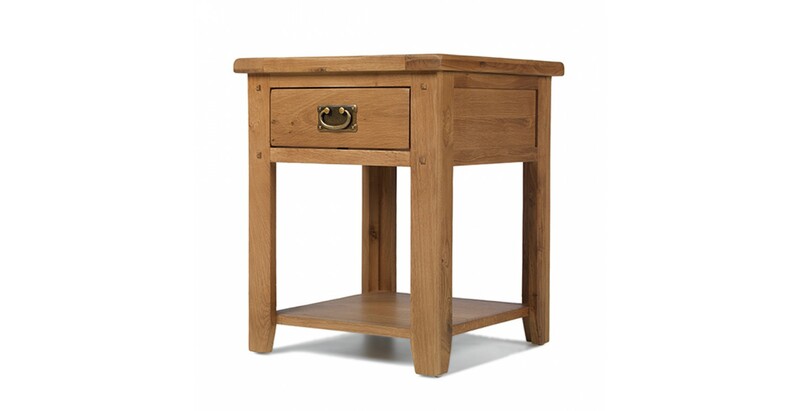 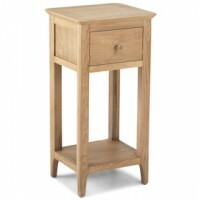 Brimming with character, it has a chunky top for your lamp or an ornament, tapered legs, peg detailing and a vintage-style drop handle on the useful dovetailed drawer. 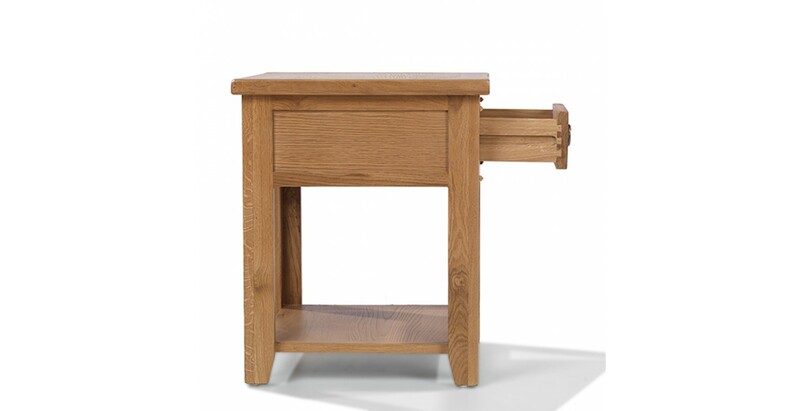 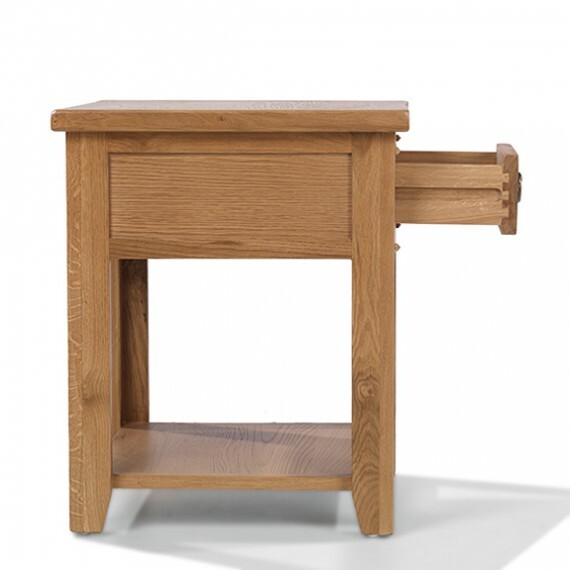 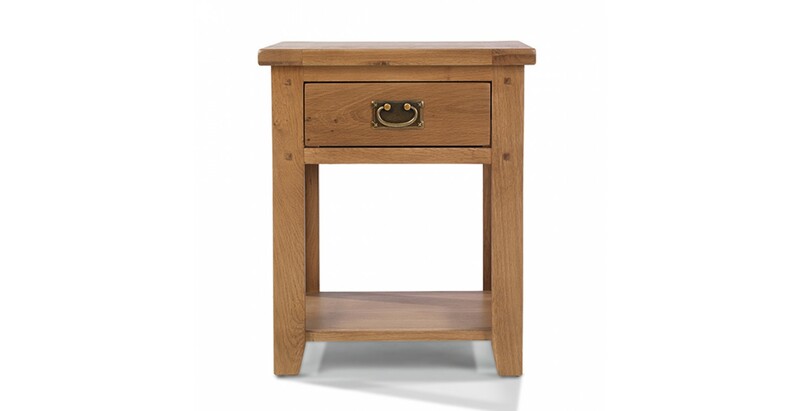 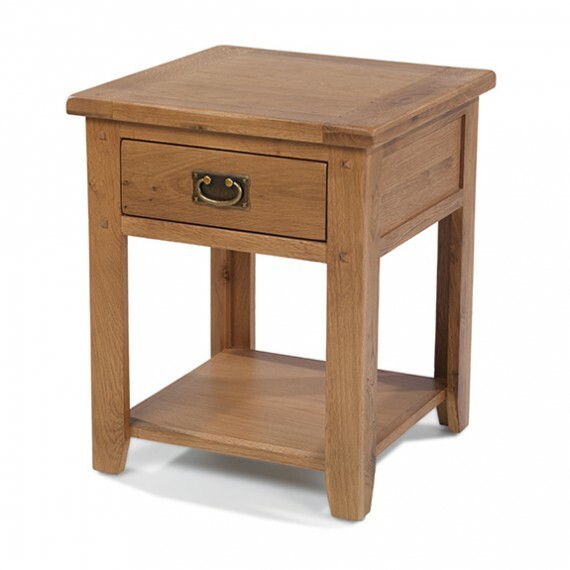 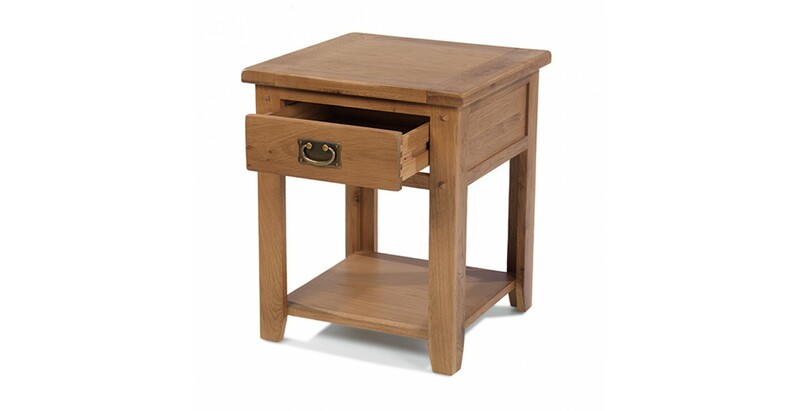 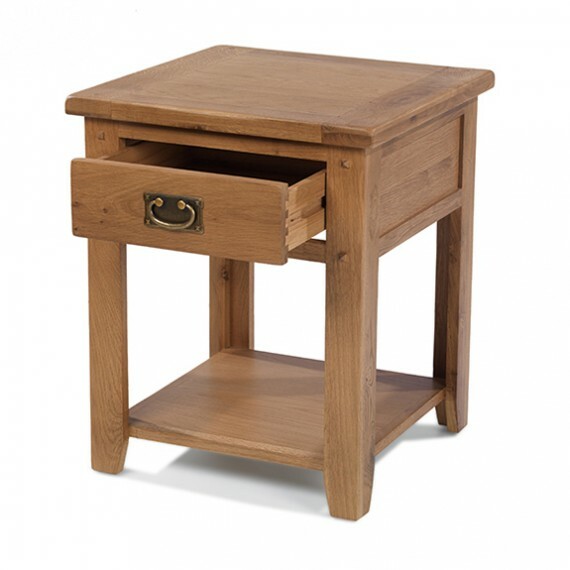 Sturdily made from solid oak and oak veneers, it's been given a Wax Lacquer Finish to highlight the rich grain and there's also a lower shelf to give it extra versatility.